Early in the fall, before any winter snow arrives, we visit each commercial snow removal client’s property to photograph and mark off areas of concern. These concern areas may include fire hydrants, catch basins, any adjacent landscape or lawn areas to help prevent any potential for property damage during the Boston winter and snow plowing season. 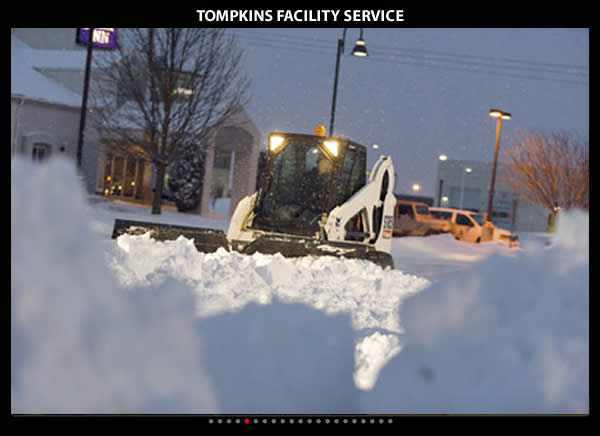 We will also take snow removal crews to your commercial property parking lot areas so that everyone will have firsthand knowledge of all the areas of the parking lot in and around the property. This is typically done two to three times before any winter weather or precipitation event happens. Making sure that crews know the property firsthand helps provide the client better service that is done in a timely and professional manner. Parking lot areas and walkways are all staked using commercial grade fiberglass stakes are arranged in a variety of neon colors to ensure safe operation during snow removal operations. Differently colored snow plow stake markers are used to signify the major concern areas; fire hydrants, to catch basins, to lawn areas, to basic curbed parking lot areas. Snow removal workers will then continue to map out the entire property of any hazards or areas of concern during their snow removal operations. When a winter storm or winter precipitation is forecasted for the Boston area, we begin using all the data from all of our winter weather forecasting services. 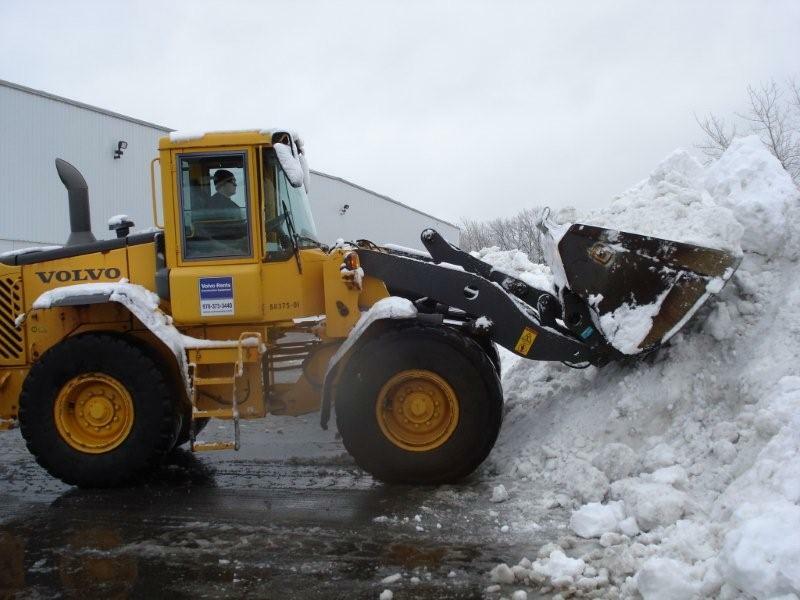 We will notify commercial snow removal clients in the Boston area as soon as possible, typically at least 48 hours ahead of the winter event. We then also make sure that all of our crews and equipment are ready to go on a standby notice. 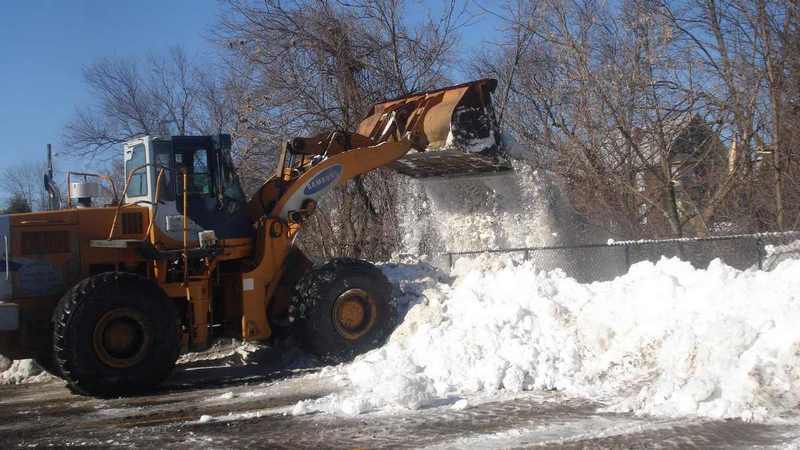 Typically just before the precipitation or storm event we will pre-treat all walkways and parking lot areas with blended ice melt products to prevent the bonding of snow to the paved areas. After a period of time, and once we see that the salt or other ice-melt products are no longer working, is typically when the snow plowing part of work will start. Each client and storm is different, but usually we start snow plowing operations when an inch of snow has accumulated on the pavement. We will continue to plow clean and clear parking lot areas throughout the duration of a snow event until it concludes. When necessary, to ensure the safety of pedestrians and traffic (as conditions allow), we will also periodically treat paved areas and walkways with blended ice melt product to prevent any slippery conditions. 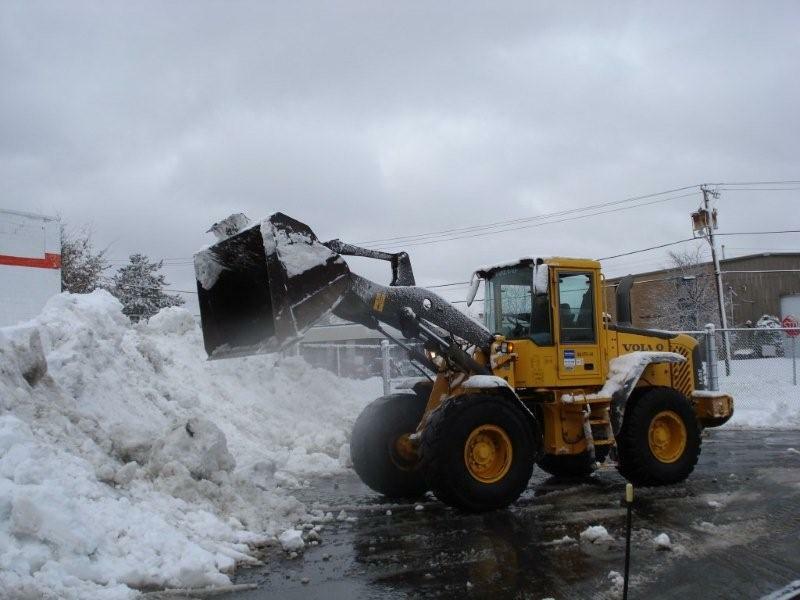 Once the storm has completely passed the Boston area and conditions permit, we will completely clean and clear all parking lot areas and treat for any icy or slippery areas. 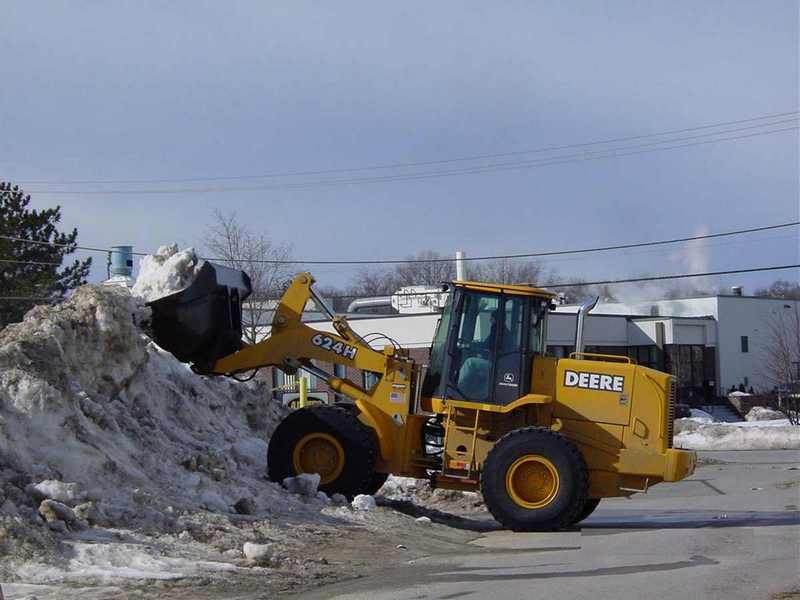 In the event of larger snowstorms where hauling or loader work is necessary, typically no later than 48 hours after storm ends, most vehicles will need to be removed from parking lot areas to ensure ease of access to the loaders and dump trucks to haul snow offsite.